There are certain foods that don’t last more than a few days in our house. As soon as we bring it into the house, we already know several ways to enjoy it. Prosciutto is one of those foods, which typically lasts only a few hours. 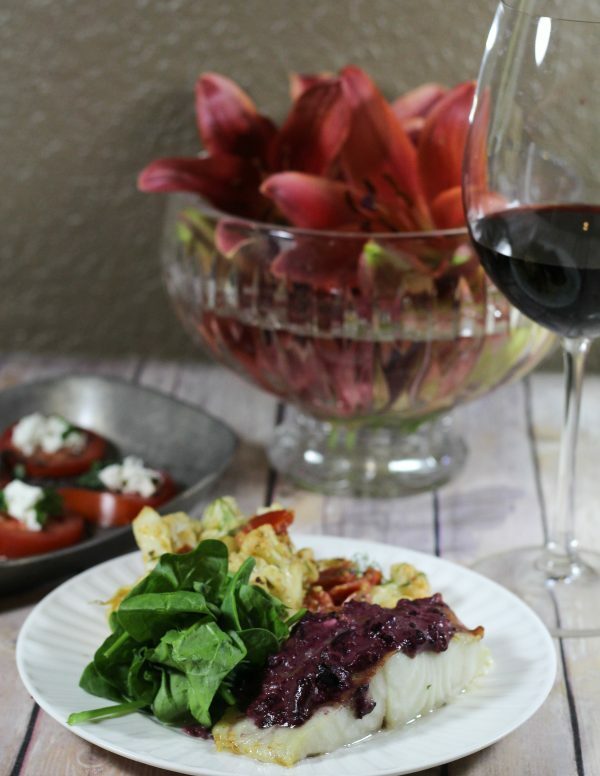 Paired with my favorite sablefish, Kirk created this amazing Cherry Prosciutto Sablefish recipe that is great for date night or entertaining friends for dinner. You have probably heard me talk quite a bit about sablefish over the past few years, because it truly is my favorite fish to eat. The buttery texture is something you don’t expect from a white fish and it absorbs flavor very well, which is why we so often use asian seasonings in the preparation. 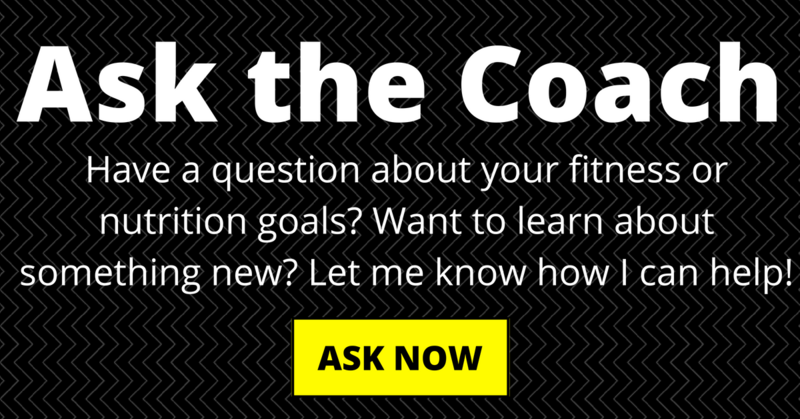 High in Omega-3 fatty acids, EPA & DHA – about the same as salmon! This is a great fish to highlight that healthy eating can (and should!) also be delicious. And with this latest recipe, you have one more reason to order my favorite sizzlefish sablefish (affiliate link) and taste why it’s my favorite fish for yourself! Combine cherries, goat cheese, and balsamic in a blender or processor and mix until no large pieces remain. Pre-heat oven to 400 degrees. Top each portion of fish with 1 slice of prosciutto and place directly on grill rack. Bake for 15 minutes. Pour topping over fish and bake for an additional 5 minutes. 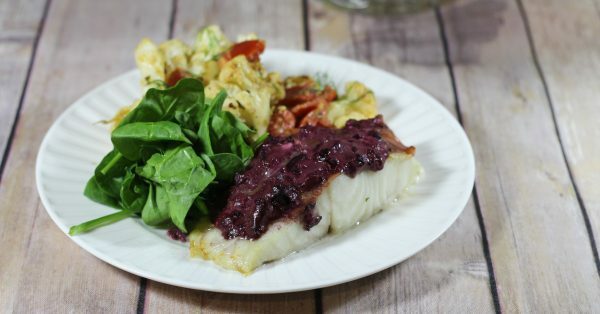 This meal comes together quickly – less than 30 minutes to enjoy the light salty flavor of prosciutto, sweet cherries, & buttery sablefish in this delicious (yet healthy!) 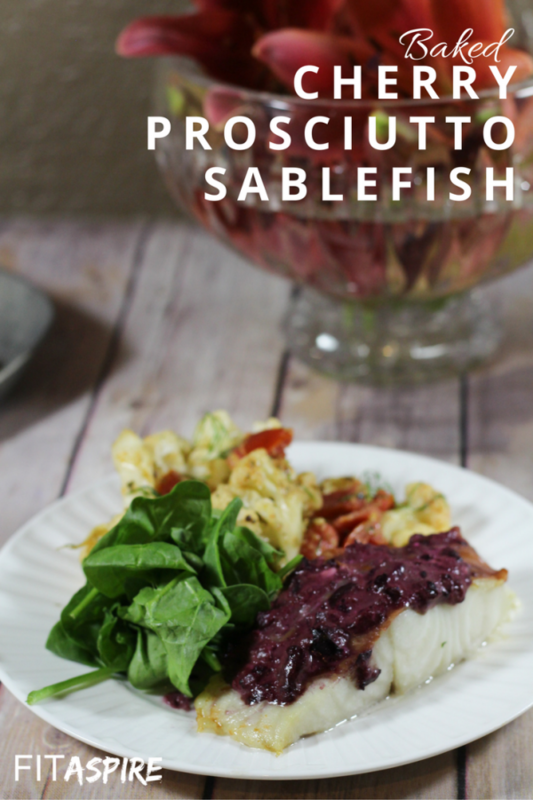 Cherry Prosciutto Sablefish recipe!